Envisioned and produced by the MTM tuning firm, along with the help from DIRKS, the VW Amarok V8 Passion Desert is the German answer to the popular American high-end pick-up trucks. 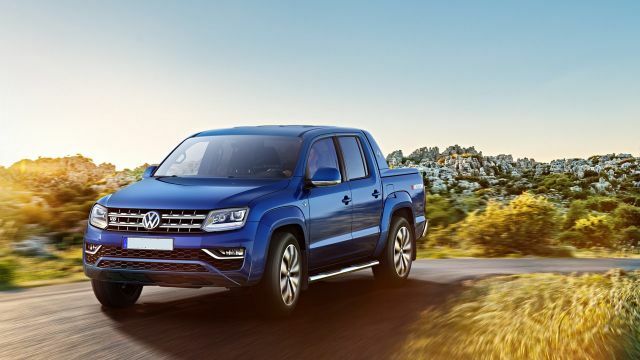 It is a high-end truck than includes all the prominent elements from its American contemporaries, as well as Volkswagen’s touch of luxury and style. 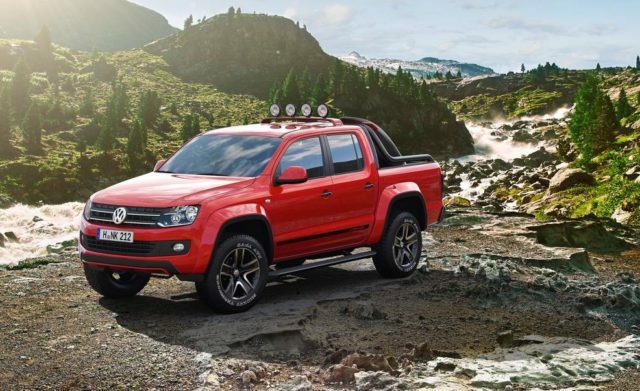 By incorporating a superior engine and other performance elements, the MTM has turned the ordinary Amarok into a true off-road beast. For all off-road junkies, this one is a must-have. The standard Amarok was a beautiful truck, to begin with. However, with the VW Amarok V8 Passion Desert, the MTM has taken things few steps further. In the front, both the lower and the upper grilles have been revamped, with sleeker and more prominent lines. The lower grille sports a bespoke mesh insert now, while the upper one features a characteristic black theme. For increased protection, the MTM has incorporated underbody skid plates and a tubular brush guard. 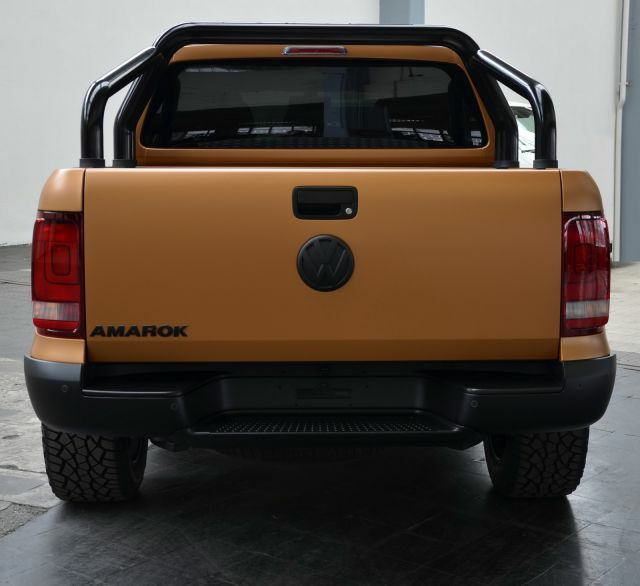 On its sides, the Amarok Passion Desert edition is equipped with noticeably enlarged fender flairs. These will be more than useful for keeping the mud and rocks away from the truck’s mat orange paint. There are also side boards that make entering and exiting the truck much easier and convenient. On its back, this modified Amarok features an enlarged roll bar, a mat-black rear bumper, and black fender flairs and grilles. Just as it did with its exterior, the MTM has also improved upon the Amarok’s interior as well. The insides of the VW Amarok V8 Passion Desert are completely covered in high-quality materials, most of which is Alcantara. Basically, any part of the interior that isn’t an air vent, a button, or a screen, is covered in the suede material. That, of course, includes the seats as well, which now have a diamond pattern, alongside much smoother bolsters. To hold everything together, the MTM has opted to use flat orange stitching. For functionality, there is added the latest info display in the center and a bank of three gauges on top of the dashboard. These will provide all the necessary information, that will ensure safe and pleasant ride. Instead of using the older and much weaker 2.0-liter TDI engine, the MTM has decided to use a much more powerful power plant. This one comes in the form of a mighty 4.2-liter TDI V8. 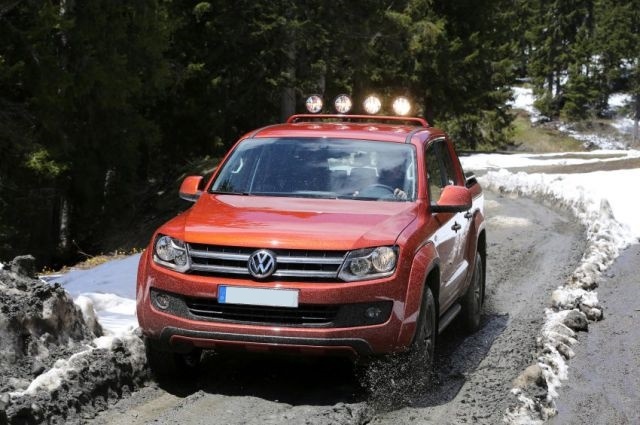 The V8 diesel variant has been upgraded, in order to provide enough power for the new VW Amarok V8 Passion Desert. This engine is now capable of producing 410 horsepower, and a max torque of 685 lb-ft at 2.000 – 3.000 rpm. 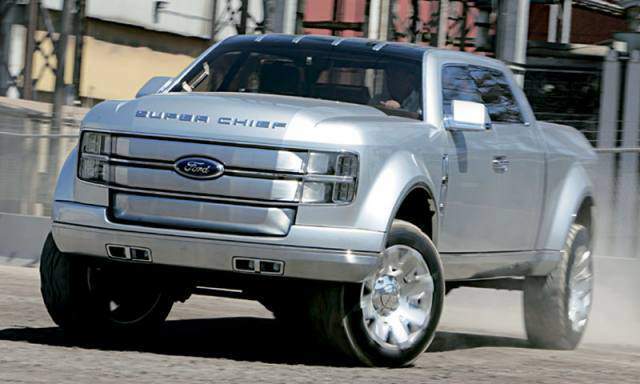 The company has opted to couple the engine with an 8-speed Tiptronic gearbox and a 4-wheel drive. This custom Amarok is expected to go from 0-62 mph in just 6 seconds. The top speed will be almost 149 mph. 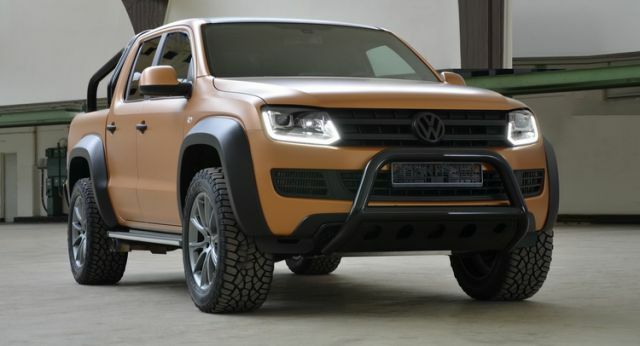 So far, there hasn’t been any mention of the custom Amarok’s release date. However, as for the price, it will be whopping 200.000$.